Trick or treat? How about three treats? 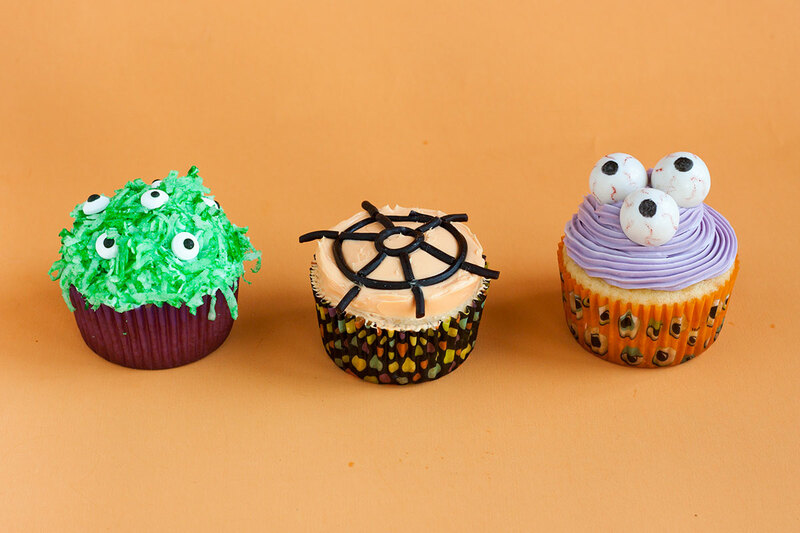 Today I’ve got not just one, but three spooky cupcake toppers to get you in the Halloween spirit. Best part, they’re all edible! 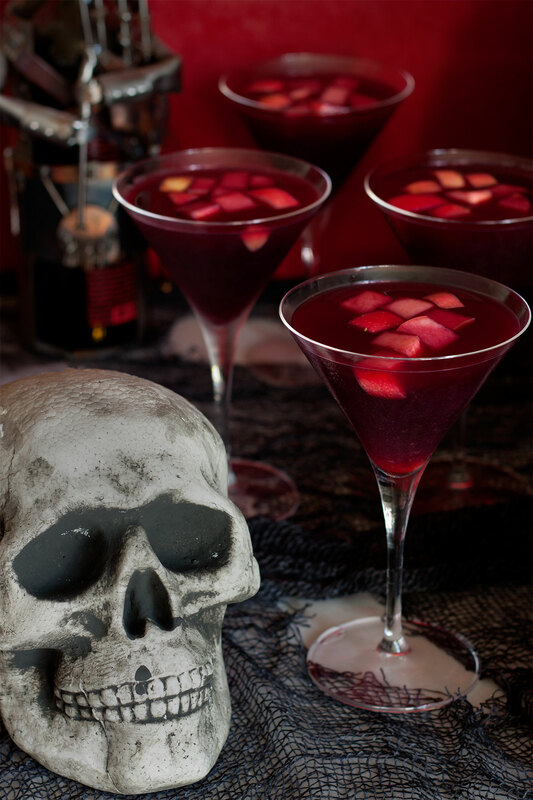 Head on over to eHow to see how to turn gumballs in eyeballs, coconut into monster fur and licorice into spiderwebs. 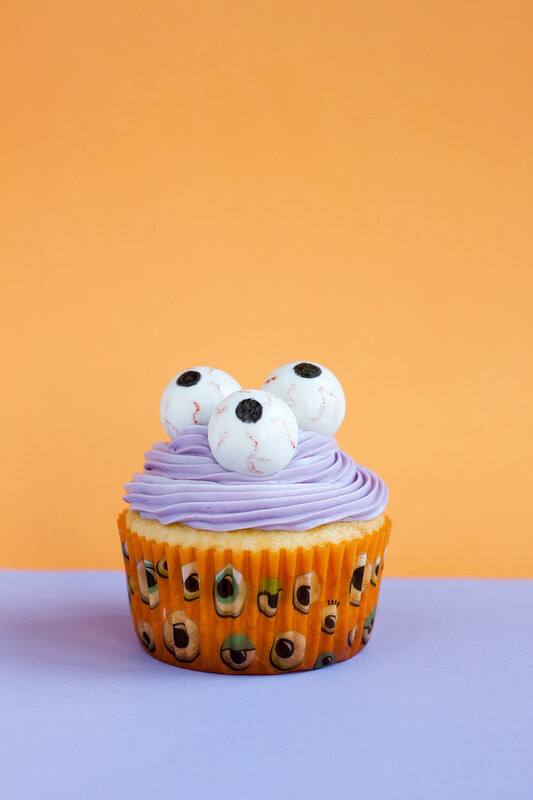 The perfect way to decorate your favorite homemade cupcakes or add a unique touch to last minute store-bought treats. Either way, these toppers are sure to have your guests ahhhh-mazed. Good morning boys and ghouls! Can you believe it’s almost October? Scary. Since everyone is already posting costumes and Halloween treats, I decided to join the party. 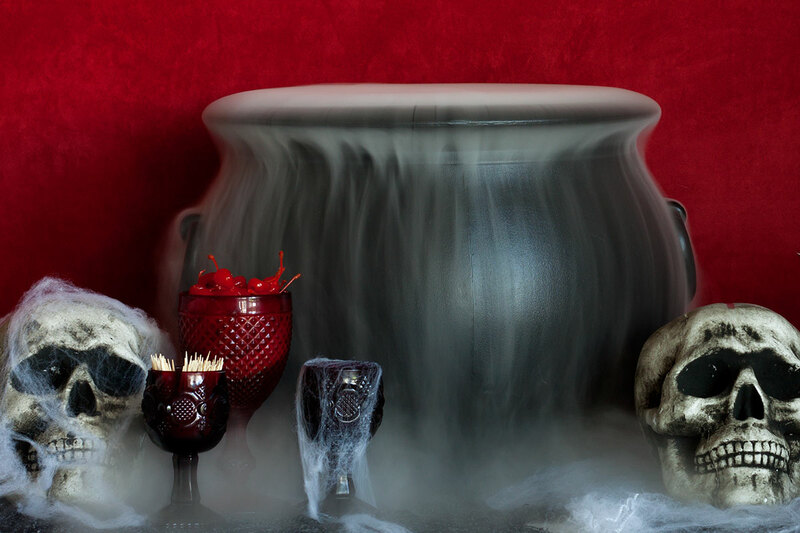 A few weeks back I cooked up a spooky witch’s brew for eHow. This was such a fun project to work on! I had always wanted to experiment with the dry-ice fog phenomenon…. and I sort of believed it couldn’t really look as cool IRL as in photos. Guess what, these pictures don’t lie! Creating this effect is so simple and so awesome! 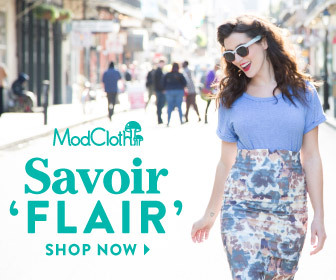 Get the full scoop over on eHow. Happy Monday! It's here, it's here! How great is it that Halloween falls on a Friday this year? 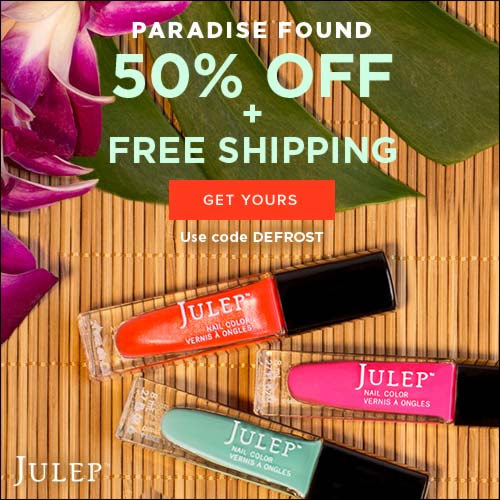 Pretty ahhh-mazing. 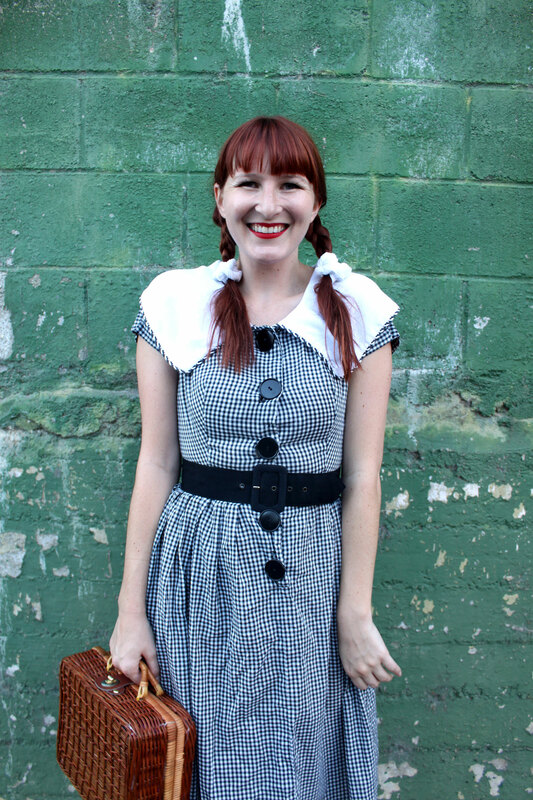 In case you missed it, here's a look at my last minute Dorothy costume posted on Wanderings Past yesterday. It's so darn easy that you still have time to throw it together before tonight. 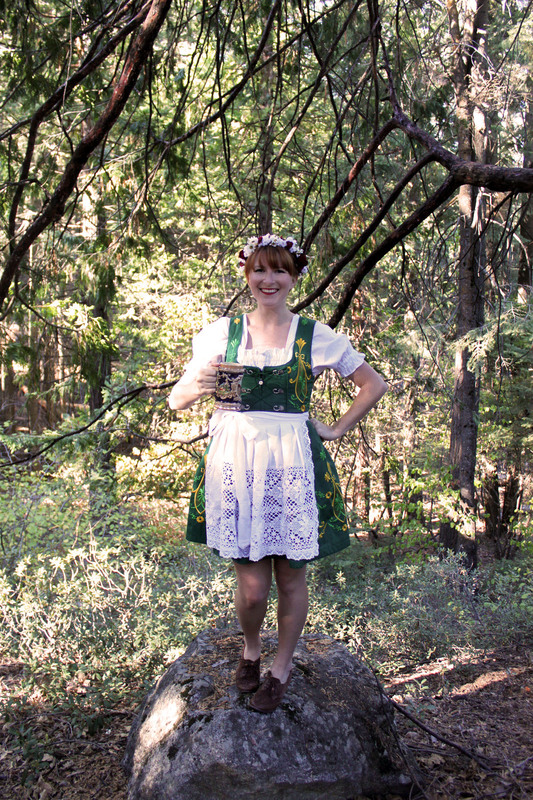 I'll be wearing my Oktoberfest maiden outfit all day and heading to my friend Rachel's Monster Mash Bash tonight. 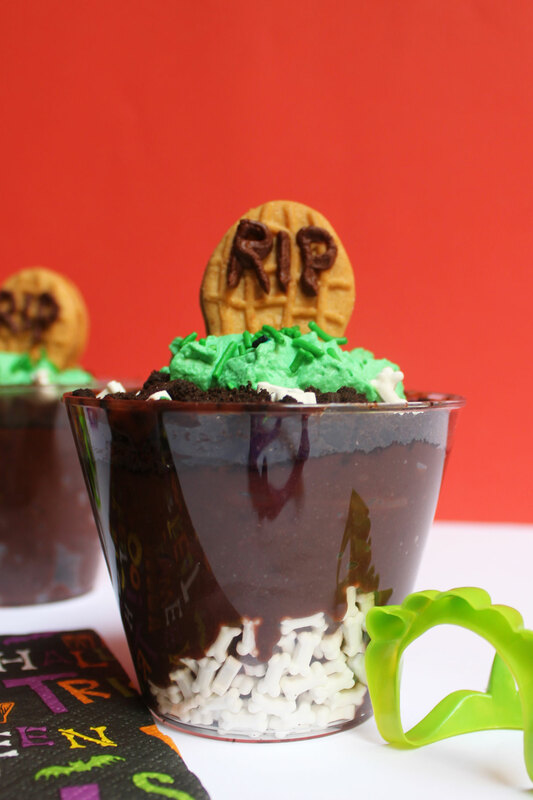 I made about a zillion mini bad to the bone cupcakes and some spooky sangria. But neither will have a feature here, so you'll have to spot them on my Instagram tonight. Hope you all have a happy and safe Halloween! Be sure to watch out for those lions and tigers and bears... oh my! Guys. 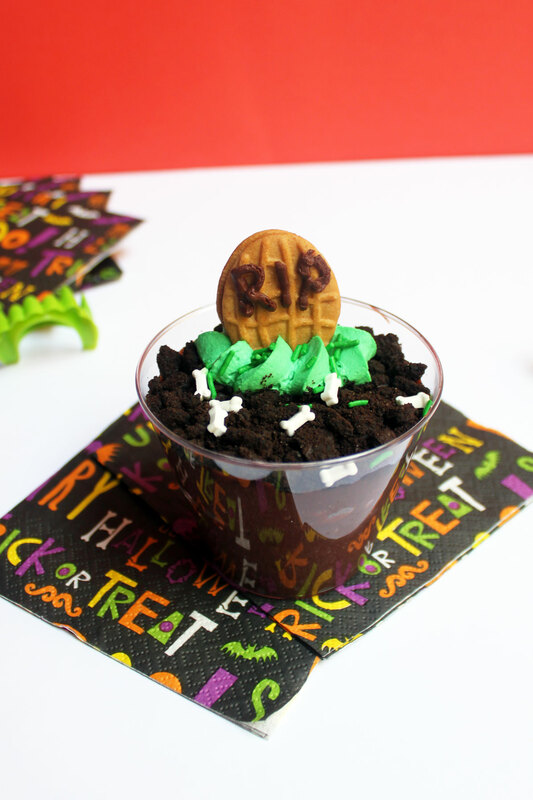 I love dirt cups! There’s something about chocolate pudding, Oreos and whipped cream that is pure magic. With Halloween around the corner I decided it was time to whip up a batch of one of my favorite creepy treats. So, I headed to the store to buy Oreos (because I’m not allowed to keep them on hand) and the most amazing thing happened- I got a free bag of Nutter Butters! Hello Tombstones! I used melted chocolate and a baby Ziploc to pipe RIP onto the cookies. It was challenging and did not turn out beautifully. But that was totally intentional. It’s a…um… chilling Halloween type. 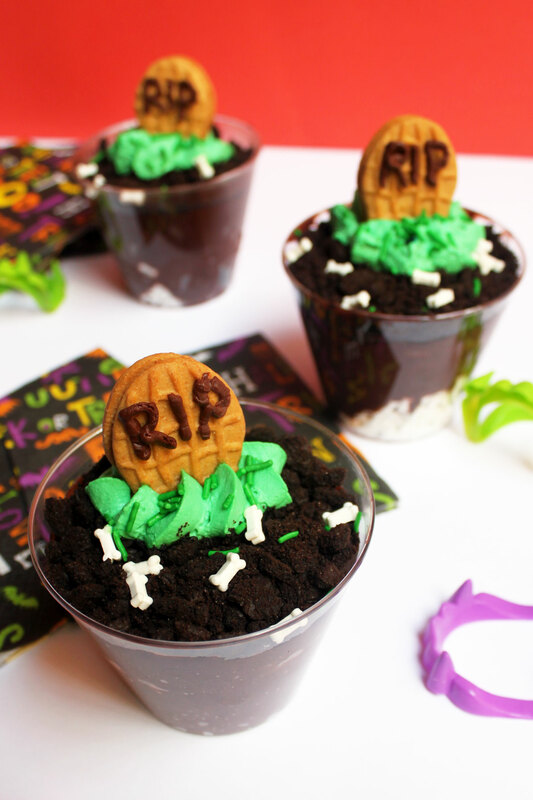 Many people include gummy worms in their dirt cups but I used bone sprinkles instead. 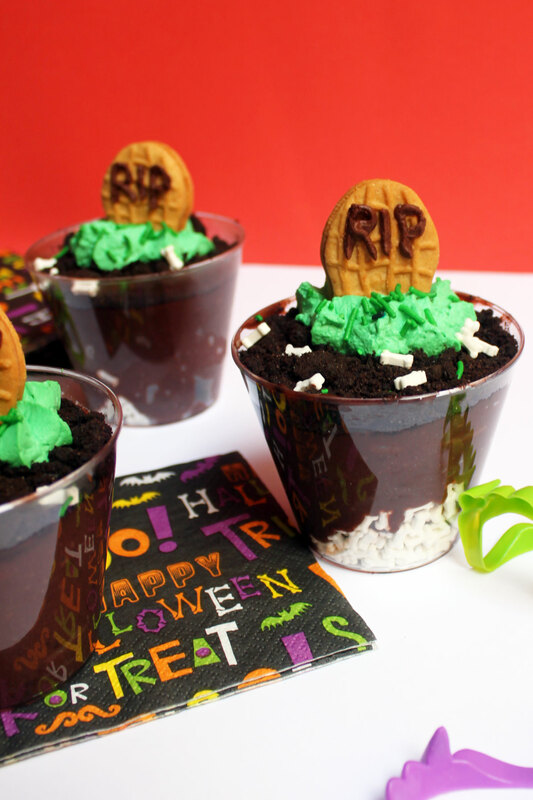 I really love how you can see all the buried piles of bones beneath the pudding. Wicked. Now because I refuse to eat a dirt cup without whipped cream I dyed it green making it grass. BAM! I’m going to eat you now. Make pudding following instructions on package. Separate Oreos, discarding centers. (You should probably eat them). Place Oreo cookies into a plastic bag, seal, and smash with the back of a spoon. Combine whipping cream, sugar, green food coloring and vanilla in a bowl and using a hand mixer whip until it reaches desired consistency. Assemble cups: Place pile of bones in bottom of plastic cup. Fill cup almost full with pudding. Cover with crumbled Oreos. Pipe R.I.P. onto Nutter Butter. Spray a dollop of whipped cream in center of cup. Push Nutter Butter into whipped cream. Decorate with bones. Serve and enjoy! 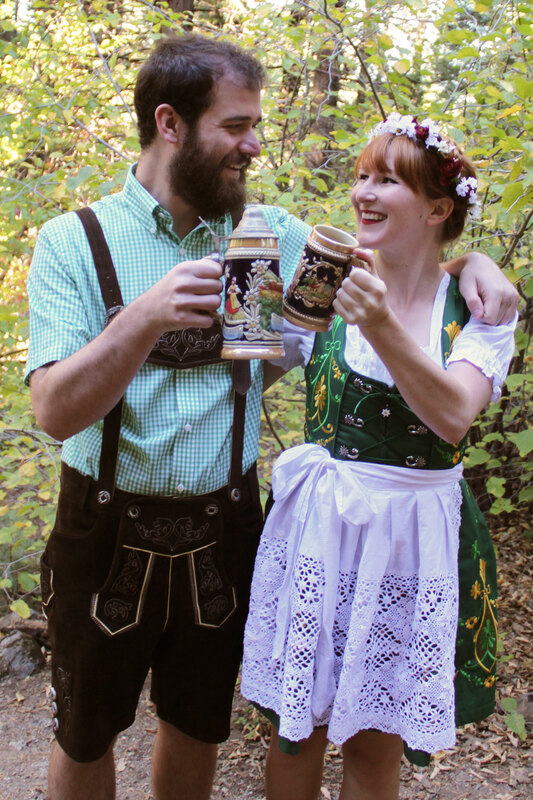 I am delighted to reveal our couples costume for this year- Oktoberfest for Halloween! 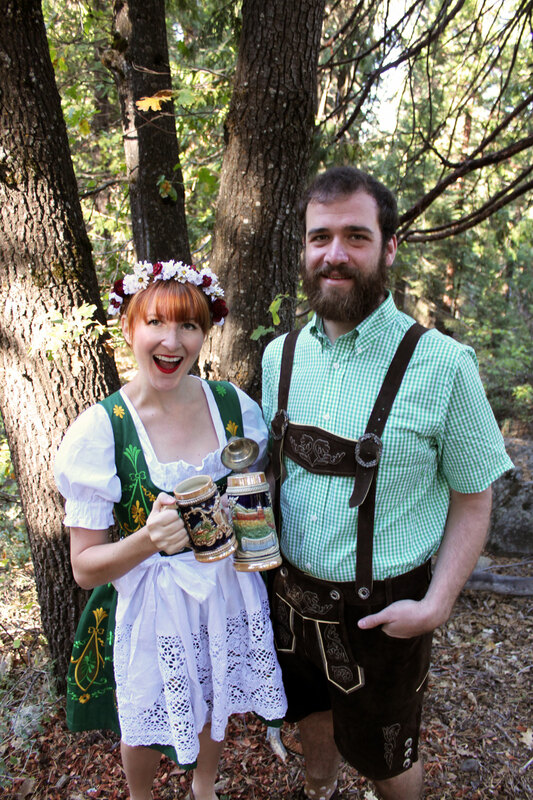 Apparently it’s an unspoken tradition that we dress up for another holiday on Halloween. Last year was Christmas. Regardless, It’s no secret that Nick and I like beer. 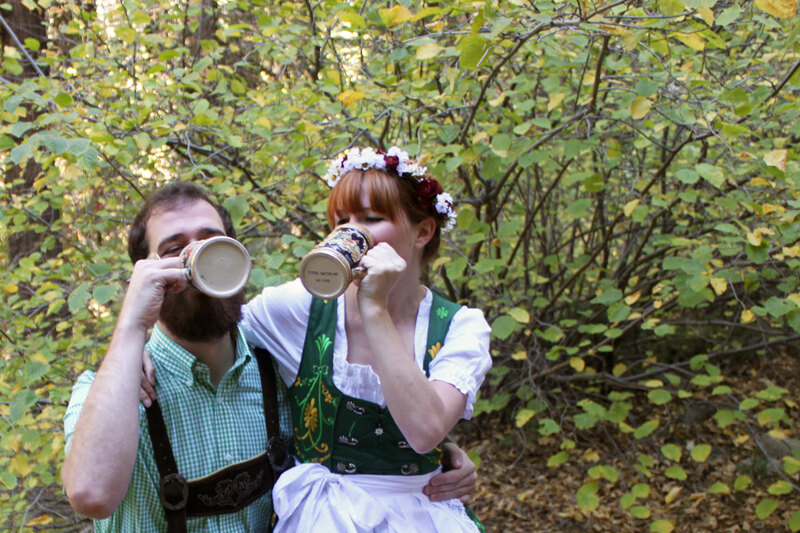 We’ve been to our fair share of beer festivals across the state. 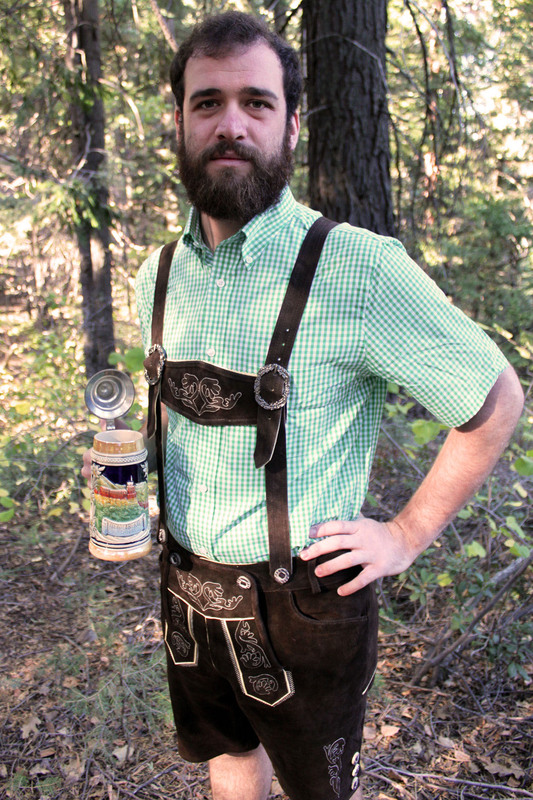 At each and every festival there’s always that awesome bearded fellow rocking lederhosen. We’re very jealous of that guy. 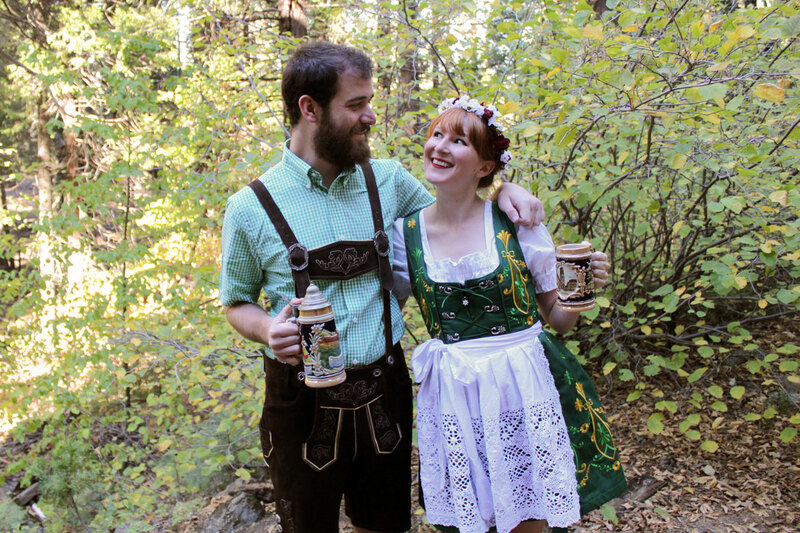 So finally we decided to do something about it and get some traditional Bavarian outfits of our own. These are those outfits. 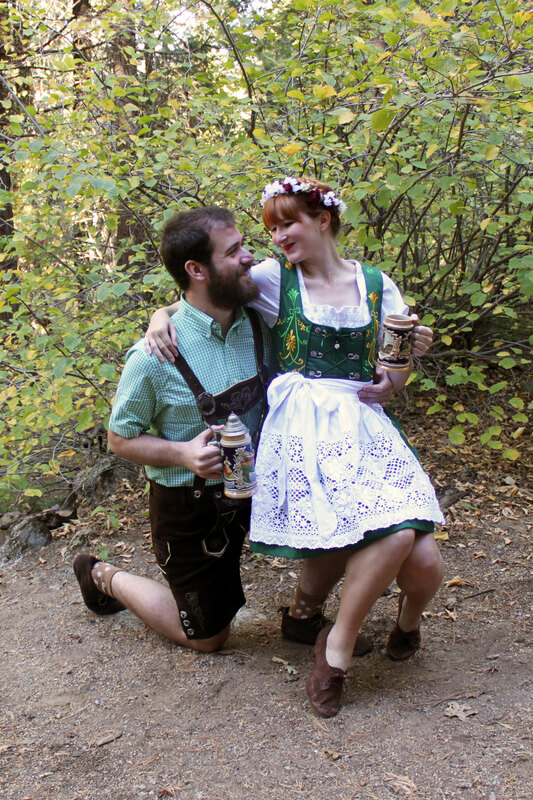 I’m pretty sure Nick was born to wear lederhosen. I find the entire outfit really suits him, down to the wacky socks. I will not be surprised if he begins to wear it without occasion. In fact, I’ll love it! 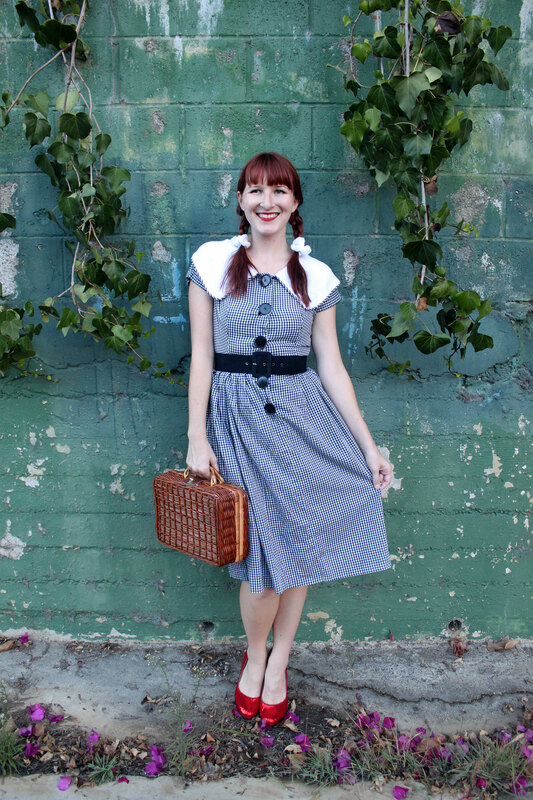 The majority of our outfits were somewhat pricey purchases under the justification that we’ll wear them again. 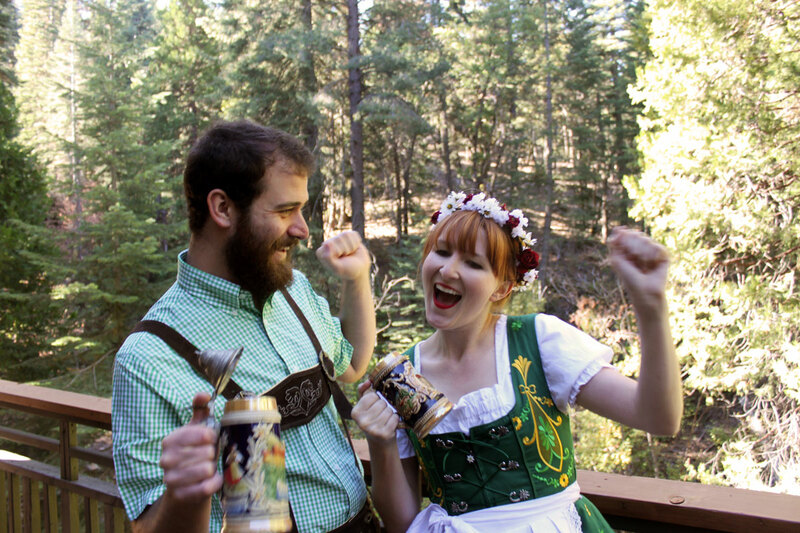 But not the steins. 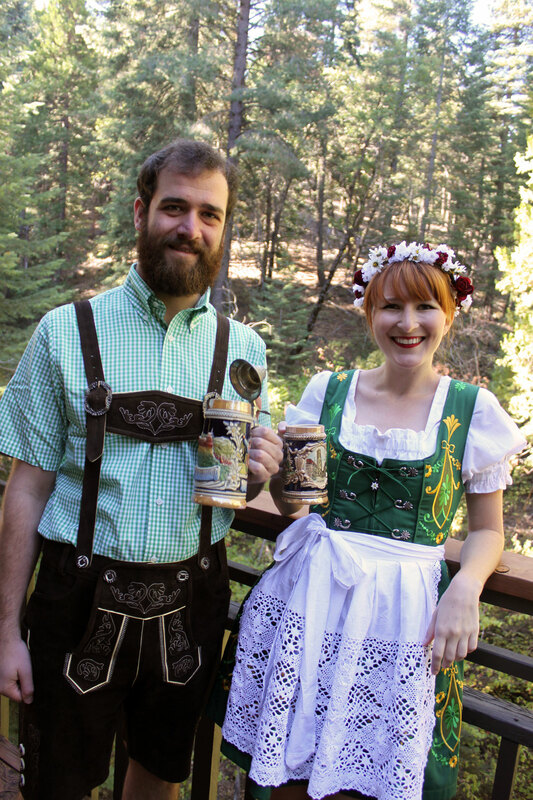 I had to search far and wide for those darn steins. Now, you can find them at most antique stores…for $100! Way too much to justify. So for the last month I’ve been a thrift store maniac. 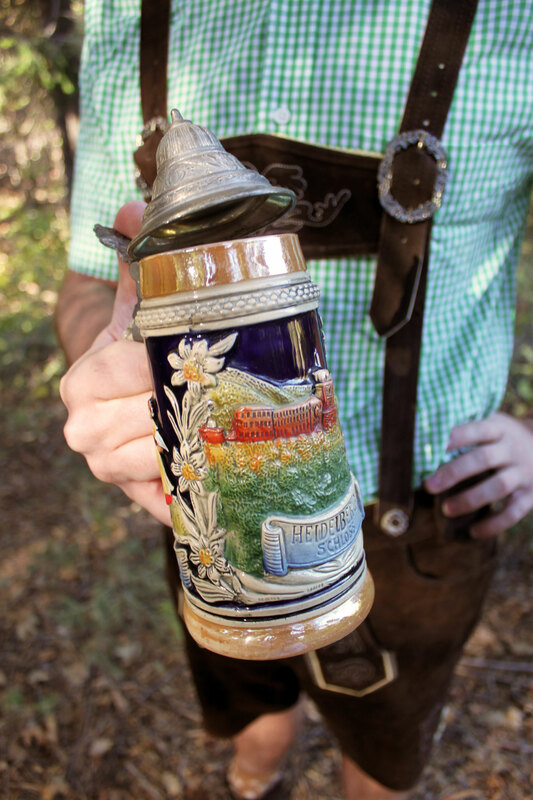 First I found my tiny stein and then one fine stein day, I found Nick’s! 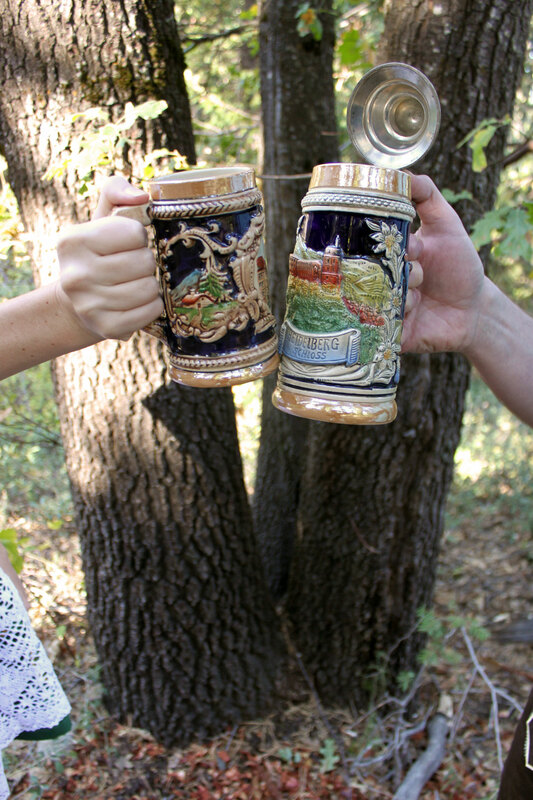 Are they not the perfect his and hers mugs? So there you have it! Out costumes are complete and ready for Halloween, with a week to spare! Hooray! I like being early. What about you? 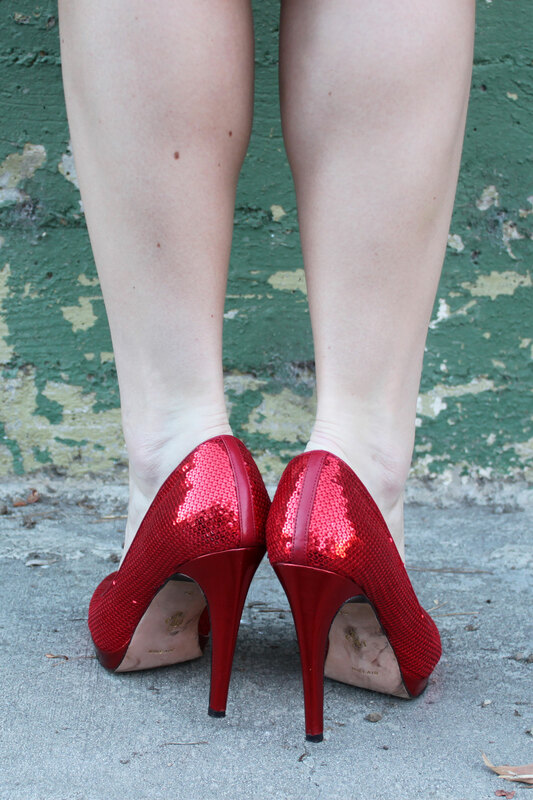 Are your costumes done and hung or are you waiting until the night before? No judgement!